Try this experiment: Next time you have a fine meal in front of you, open up a bottle of tequila and see how well it goes with dinner. I had the chance to do this, courtesy of an event put on at San Francisco’s Jardiniere restaurant, thrown by Partida Tequila and Folio Fine Wine Partners, which is run by winemaker Michael Mondavi. The idea: Pair a wonderful dinner with both Mondavi’s best wines and the full lineup of Partida, and let diners decide what they want to drink with each course. It’s a curious experiment, and one which garnered considerable discussion — plus a lengthy post about the event from San Francisco restaurant critic Michael Bauer. Perhaps that part about the novelty factor is true, but for my money, the wines unilaterally made a better pairing with every dish, with the exception of dessert: Bauer is right on there, noting that the Partida Elegante (a smooth extra anejo tequila) was a perfect match with traditional Mexican desserts that included flan and a mini churro with Mexican hot chocolate. Mondavi’s Moscato was a distant second in that race. But with dinner, I found myself turning time and time again to the Isabel Mondavi Chardonnay with a scallop appetizer and both Cabernets poured — Emblem and M by Michael Mondavi — with the hearty pork main dish. Tequila just wasn’t a fit with the savory stuff, and, more to the point, it was just far too strong, overpowering the delicate nature of the food. There’s also the simple issue of the function of a beverage: Having something to help “wash down” your food. A nice gulp of wine is fine — perfect, even — to help that pork belly go down. Try the same thing with tequila and you’ll kill yourself. Either way it’s still an interesting experiment to try on your own. Set up a rich meal with a bottle of wine and a quality reposado tequila (probably the most versatile of the tequila expressions when it comes to food pairings), and see where things go. Some, like Bauer, may find themselves drifting toward Mexico’s finest. But I suspect most will end the night with empty wine glasses while the tequila goes largely ignored. Nocciolata Spread Meets Partida Tequila? I attended the Partida/Mondavi event in Dallas. It’s apparently becoming more common to pair tequila with food, as this was one of several tequila pairing dinners that have come to town recently. As you noted, most diners stick to the wine with their meals; I was one of the few that took to the tequila with gusto, but even still, I’ll reach for a bottle of wine before a bottle of tequila when washing down my dinner. 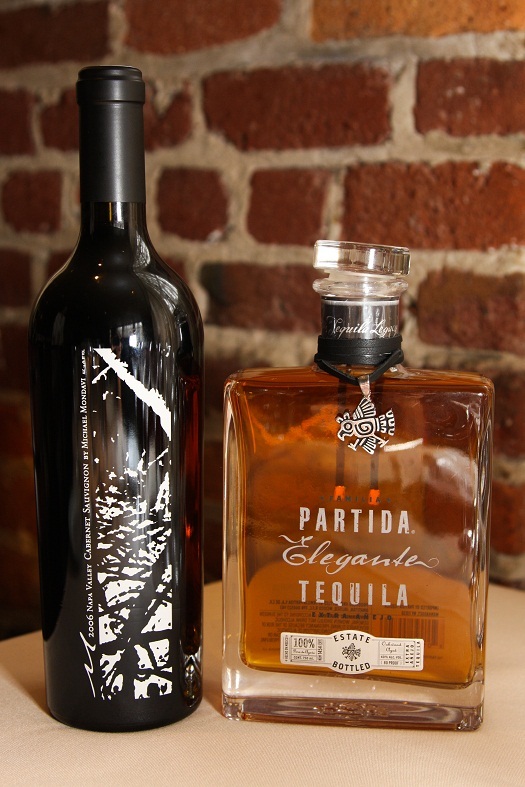 That said, Partida’s Reposado is one of the finest I’ve tasted, and that Elegante was really impressive. My favorite pairing is strawberry infused silver tequila with a chicken mole sauce. just soak fresh cut strawberries in silver tequila for tree days, strain and serve, also makes a delicious margarita!